Background and aim: Alkaptonuria (AKU) clinical manifestations resemble severe arthritis. The Suitability of Nitisinone in Alkaptonuria 1 (SONIA 1) study is a dose-finding trial for nitisinone treatment of AKU patients. We tested a panel of serum and urinary biomarkers reflecting extracellular matrix remodelling (ECMR) of cartilage, bone and connective tissue in SONIA 1 patients to identify non-invasive and diagnostic biomarkers of tissue turnover in AKU. Methods: Fasted serum and urine were retrieved from 40 SONIA 1 patients and 44 healthy controls. Established biomarkers of bone remodelling (CTX-I, P1NP, OC), cartilage remodelling (CTX-II, C2M, AGNx1) and inflammation (CRPM) as well as exploratory biomarkers of ECMR (C6M, VCANM, MIM, TIM) were measured at baseline in serum and urine by means of enzyme-linked immunosorbent assays (ELISAs) or automated systems (Elecsys 2010). Results: The levels of bone resorption (CTX-I) and cartilage degradation (C2M) were elevated in AKU patients as compared to controls (p > 0.0001 and p = 0.03, respectively). Also tissue inflammation (CRPM) was elevated in AKU patients (p = 0.01). In addition all four exploratory biomarkers of ECMR (C6M, VCANM, MIM, TIM) were elevated in AKU patients compared to healthy controls. CTX-II was the only biomarker to be reduced in AKU patients. TIM was the only marker that showed a higher concentration than the normal assay range in AKU patients. Conclusions: We have identified new potential biomarkers for assessment of cartilage, bone and cardiovascular remodelling in AKU and demonstrated the robustness of the assays used to measure the biomarker concentration in biological fluids. The online version of this chapter (doi: 10.1007/8904_2015_430) contains supplementary material, which is available to authorized users. This study was funded by the European Union Seventh Framework Programme (project 304985) and by the Danish Research Fund (“Den Danske Forskningsfond”). Robust assays for non-invasive assessment of extracellular matrix turnover biomarkers can be used to describe the cartilage, bone and cardiovascular remodelling in alkaptonuria patients. Federica Genovese is a full-time employee at Nordic Bioscience. Anne Sofie Siebuhr is a full-time employee at Nordic Bioscience. Kishwar Musa is a full-time employee at Nordic Bioscience. Morten Karsdal is a full-time employee and holds shares at Nordic Bioscience. Anne-Christine Bay-Jensen is a full-time employee and holds shares at Nordic Bioscience. James Gallagher, Anna Milan, Jozef Rovensky and Lakshminarayan Ranganath declare that they have no conflict of interest. 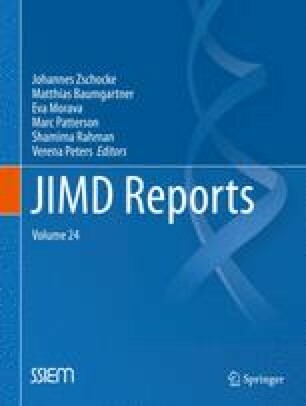 Federica Genovese, Anne-Christine Bay-Jensen, Morten Karsdal, Jozef Rovensky and Lakshminarayan Ranganath conceived and designed the study; Kishwar Musa and Anna Milan performed the analysis; Federica Genovese, Anna Milan, Anne Sofie Siebuhr and Anne-Christine Bay-Jensen interpreted the data; Federica Genovese, Anne Sofie Siebuhr, James Gallagher, Anna Milan and Anne-Christine Bay-Jensen drafted the manuscript; and Anne-Christine Bay-Jensen, James Gallagher and Morten Karsdal revised the manuscript critically for important intellectual content.